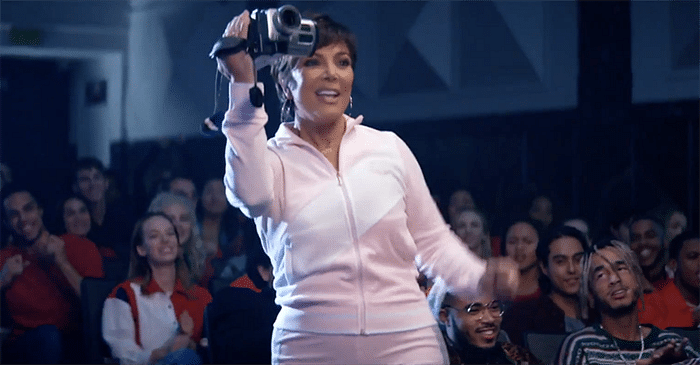 A quick moment from Jennifer Garner‘s 13 Going On 30 served as the segue from the Bring It On to Legally Blonde scenes. 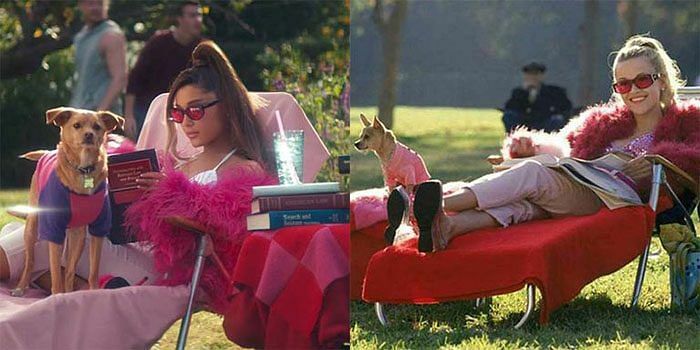 The pop singer only wore one look from this movie—a red blouse whilst she carried Jenna’s dream doll house. 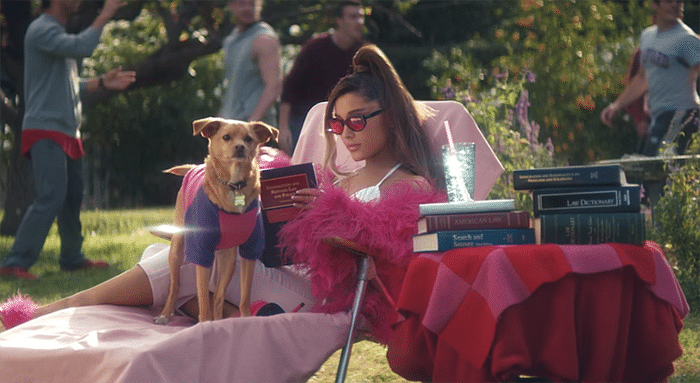 Rounding out the girl power video, Grande recreated some of the best scenes from Reese Witherspoon‘s Legally Blonde. 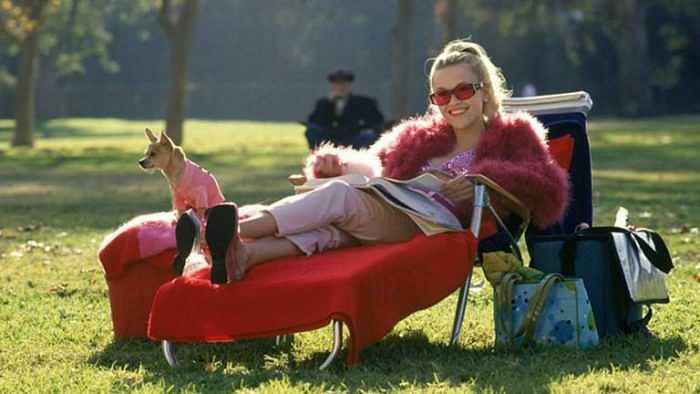 First, there was the incredible pink patent leather outfit Elle arrived to Harvard wearing with her chihuahua Bruiser (Grande used her own dog for the video).